Rep. Alexandria Ocasio-Cortez’s approval rating is tanking as citizens voice frustration following Amazon’s decision to bail on a planned campus in the state, according to a poll published Monday. Only 12 percent of state citizens consider the New York Democrat a savior for leading the charge against a deal that would have brought the online company to the Empire State, a Siena College poll found. Pollsters asked citizens who was the hero, villain or role player in the matter. Ocasio-Cortez is suffering some very low favorability numbers, with only 31 percent of voters supporting her. More than 44 percent of people polled hold an unfavorable view of the young congresswoman, the poll shows. “Who do New Yorkers blame? Well, there’s certainly blame enough to go around. … However, voters say the biggest villain was Rep. Alexandria Ocasio-Cortez,” pollster Steven Greenberg told The New York Post. Citizens spread their animus far and wide, with 34 percent also calling local activists the chief villain. 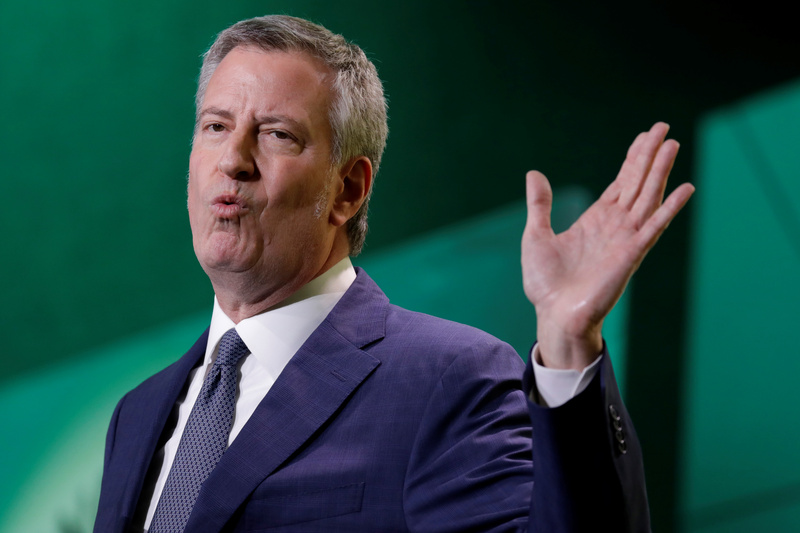 Another 29 percent of people say Democratic Mayor Bill de Blasio is to blame.